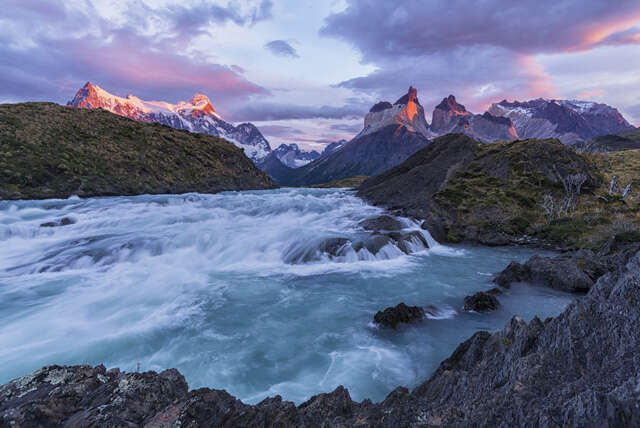 After two days spent exploring the vibrant city of Santiago and sampling its best wines and sights, it's time to check Chile's Patagonia region off your bucket list starting with Torres del Paine National Park and Puerto Natales. 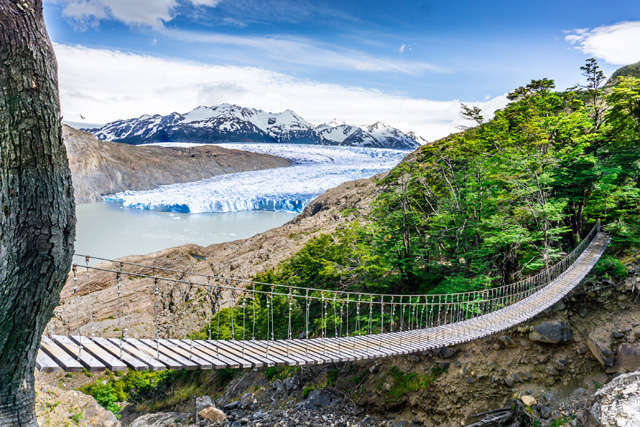 In what may be South America's finest National Park, you will find unparalleled panoramic views ranging from the Towers of Paine themselves to bright blue glaciers and emerald green forests. 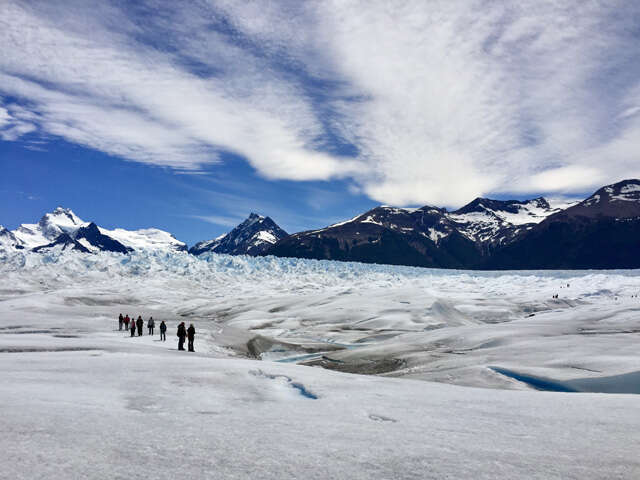 On arrival, we will be there to meet you at the airport in Punta Arenas, then travel to the beautiful port city of Puerto Natales, the gateway to Torres del Paine National Park and the majestic Balmaceda and Serrano Glaciers. On day two we will depart for Torres del Paine for a full-day excursion. 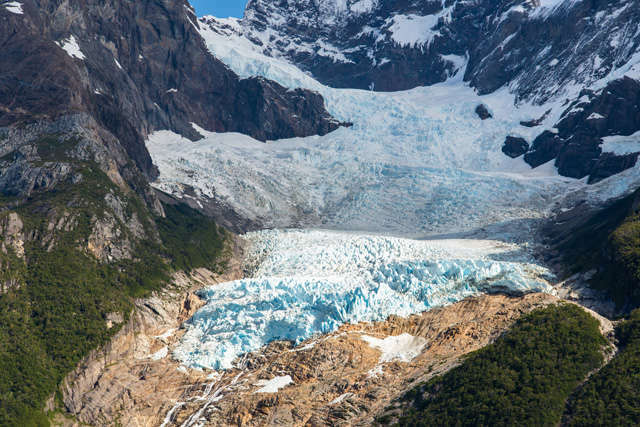 This adventure will include iconic viewpoints like Cerro Castillo and azure lakes like Lago Toro, Salto Grande, Lake Pehoe and Lago Gray, famous for its floating ice bergs. 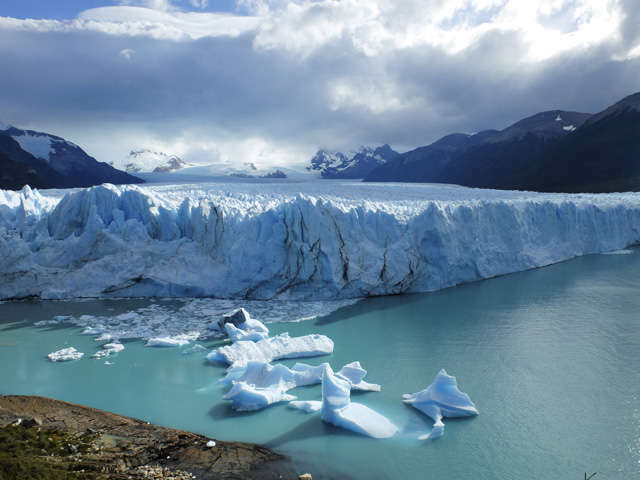 Day three features a boat trip to the captivating Balmaceda and Serrano Glaciers. 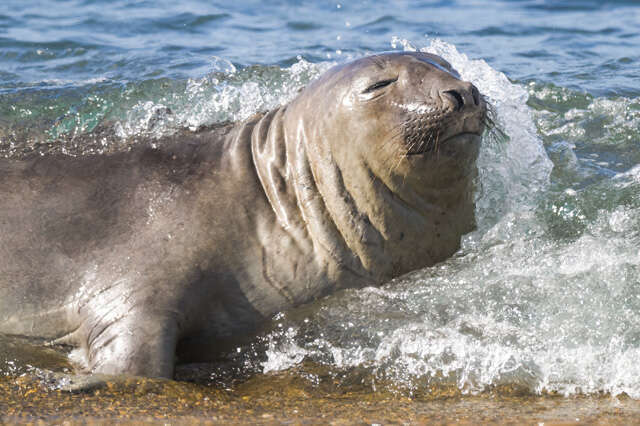 Enroute we have the opportunity to view sea lions, Andean condors, elephant seals and several cormorant colonies right from the deck of the ship. As your boat closes in on Mount Balmaceda the impressive glacier that spills off the sheer face of the mountain comes into view. We continue a short distance and dock near the Serrano Glacier where you may disembark for a short walk around a small lake formed by the melting glacier. 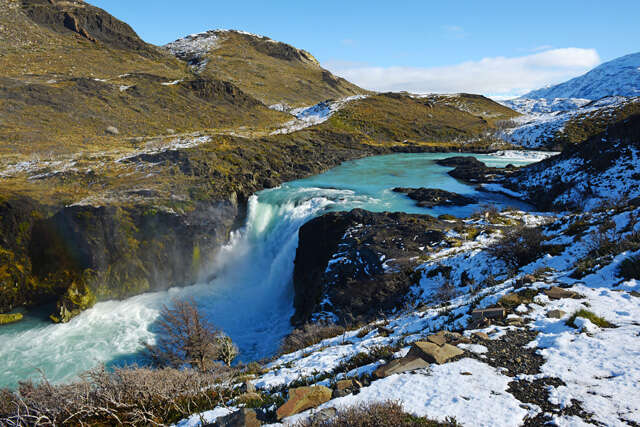 On day four it's time to lace up your walking boots as we hike through the wilderness to the top of a magnificent viewing point, offering true tranquility, phenomenal views over the fjords and towards the Torres del Paine National Park, and an unmissable opportunity to feel at one with nature. You will be transferred to your hotel in Santiago. In the afternoon, we will unveil the city's most renowned and defining sights. You'll enjoy an engaging adventure through our sprawling green parks before diving into the city's recent and painful political history surrounding General Pinochet's notorious 1973 military coup. See the downtown sites that continue to have lasting effects on the Chilean people, including our spectacular cultural center. This tour provides you with fresh knowledge and unforgettable memories of Santiago. Join us as we explore one of the world's only urban vineyards, situated at the edges of the city in the footsteps of The Andes. We will leisurely make our way through the vineyard, learning about the fascinating history of the vineyard, and of Chilean Wine, before enjoying a glass (or four!) of it's best varieties. After breakfast we will get you to the airport in time for your flight to Chile's southernmost region! You will be transferred from Punta Arenas Airport by bus going through the incredibly scenic drive to Puerto Natales Bus Station. Upon arrival at Puerto Natales bus station, we will provide you with a private transfer to your hotel in Puerto Natales.